Maybe you've been following my blogs for a while and you're signed up to my email newsletter. Maybe you hang around my Facebook page or Twitter account hungrily clicking on my tweets to get more inspiration and how-to advice to move you forwards with your exams. 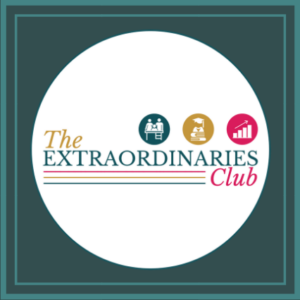 And, maybe you've been checking out the information page for my membership for students and parents, The Extraordinaries Club, the place that teaches you the study skills, mindset and habits that you need to reach your full potential. You might even have mentioned it to your mum or dad. If so, you might be wondering how to persuade them to make such a big investment on your behalf. I'm going to make a wild guess about you. I think that you're hard-working, ambitious and that you really want to do well in life and in your career. Otherwise, you wouldn't read my blog or be signed up to my email list. My first advice is that you go to your mum and dad and explain how much you want this. I know that if I'd gone to my parents asking for them to invest in my education they'd have said ‘how do I pay?' They even tried to persuade me to go to an expensive private school for the sixth form even though their annual income didn't come anywhere near the price of the fees. (I didn't want to go so they didn't have to find a way to pay for it in the end). Pretty much all parents want what's best for you and if they can see you're serious about doing the work to do the very best you can at school then I'm sure they'll try to think of a way to pay for the Club. 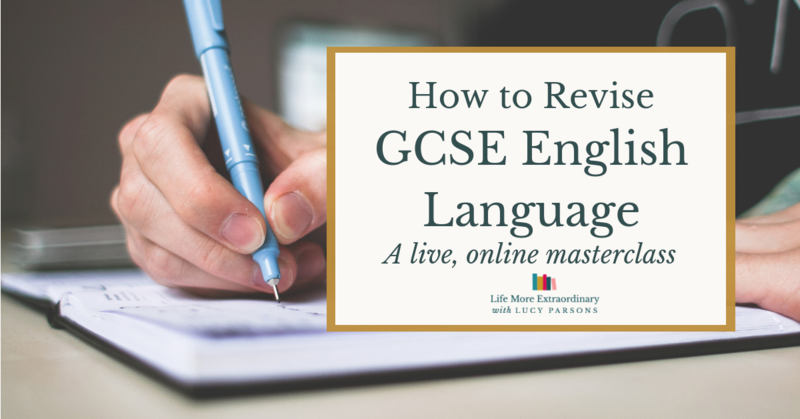 Maybe you've just had a set of mock results that you're disappointed with, or you're struggling to step up to the demands of A Level study and know you need some help to hit your stride before it's too late. Maybe you're getting to crunch time in year 11 and you're just determined to do your best and you don't want to leave anything up to chance. Or, you're in year 10 and you've had enough time to realise what this GCSE thing is all about and you want to make the best possible go of it, starting now. 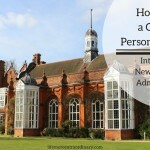 Finally, you might have clear ambitions about what you want to study at university and what career you want to pursue, and you want to make the best of every single day of your schooling. Explaining to your parents how joining this membership club is going to help you will really help them to make a decision. Increased confidence in the study techniques you're using. Inside the club, I'll show you how to make good decisions about how to study, how much to study and when to study. 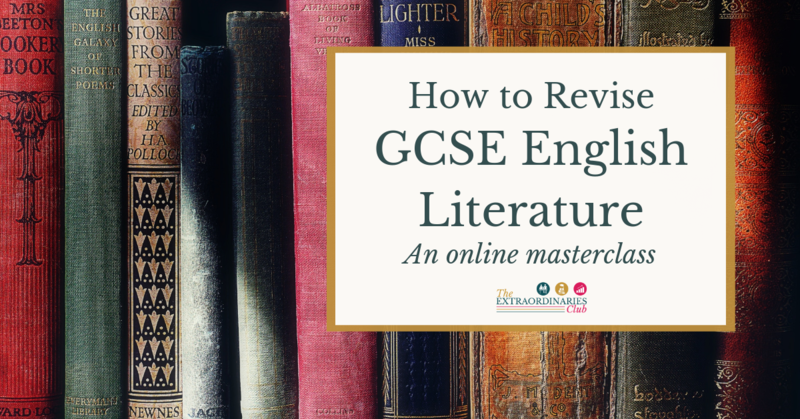 I'll show you how to make the most of revision and be really effective. Knowledge is power and power is confidence – you will be more confident about how you're approaching your studies. Increased confidence in your abilities – by choosing the right study techniques and investing the right amount of time in your studies you will see your grades and marks steadily increase. This will increase your confidence. And confidence is everything when you walk into the exam hall at the end of the year. You'll be more motivated – both because you know what you're working towards and because you can see how well you're doing. There are many more benefits you'll get as a result of doing joining The Extraordinaries Club. Read the information page to see which aspects will make the most difference to you. As a school-aged student, I don't expect you to have £300-400 sitting in your bank account while you wonder what to do with it. Maybe your parents don't have that much money sitting around either. If they're going to spend that on a membership, they need to see it in context. If you break down the cost of the membership over a 12-month duration it will cost less than £30 per month if the annual fee is paid up front. There is even a monthly payment option if finding a lump sum is too difficult at the moment. 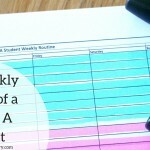 This is far less than working with a quality private tutor for an hour each week for a month. 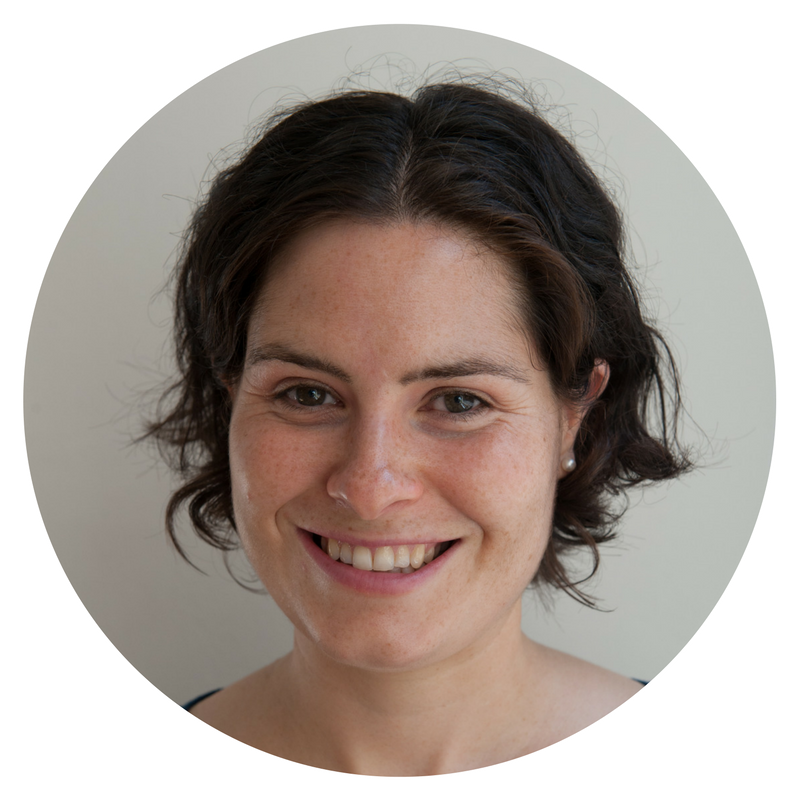 When I last did private geography tutoring I charged £60 per hour. My brother in law is Head of Science and a physics teacher and he charges £50 per hour. I'm confident that if you implement everything in this course properly you shouldn't need a private tutor. If you do, you'll need them for much less time than you would have done otherwise. 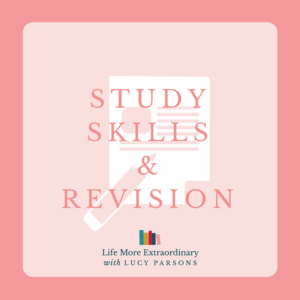 If you're worried about your grades or you think your study skills are letting you down you need to take action now in order to get the best grades possible at the end of your courses. 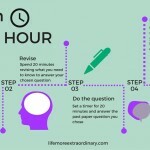 I will help you to manage your time to get the most out of it, put in place the habits that will support you to success and make sure that your revision techniques are going to get you the grades you want and deserve. Join the membership now to take all the stress out of the next four years. You will set yourself up for success in every way and not look back. However, this might not be the right time if you're not very mature and can't bear to think two years into the future! I personally think this is the best time to join. It's good timing join the Club right now. 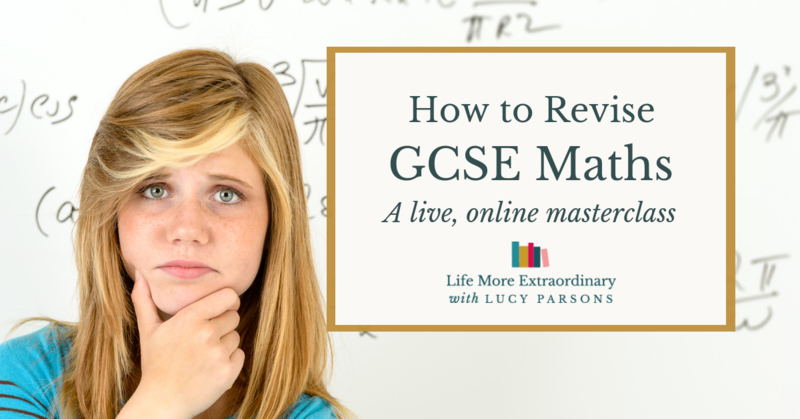 You'll get everything you need to be properly prepared for your GCSE revision so that you can approach your exams with confidence. It's also the perfect time for you if you're in year 12. Many students struggle at the in year 12 as they struggle to adjust to the notoriously big step up from GCSEs. Joining the membership will help you to get up to speed much faster and stop you from wasting time floundering. And, believe me, there is no time to waste in the sixth form. 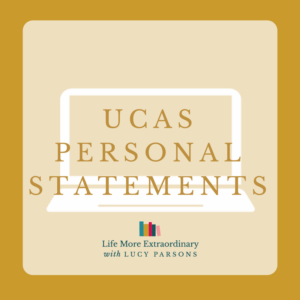 You'll be applying to university and then taking your A Level exams before you know it! If you're in year 13, you could still benefit from joining the membership, if only for the first part of the academic year. From around January onward, it could be difficult for you to find two hours per week to engage with the resources if you're doing the right amount of study. Instead, check out my one-to-one coaching options. If you really think the Club is right for you, email me to explain your circumstances and I'll give you my honest opinion about whether you should be spending your valuable time in the membership. 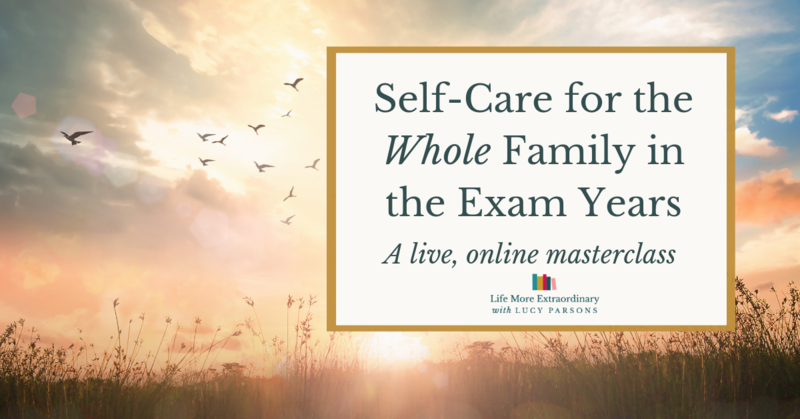 This membership is for parents and students and you'll get the best results as a family if your parent interacts with the resources available alongside you. You will both need up to two hours per week to get the most out of it. However, if your mum or dad hasn't got that amount of time you'll be fine doing it on your own. I'm here to support you all the way! I hope this post has helped you to persuade your mum or dad to let join The Extraordinaries Club. Before you talk to them, get prepared with what you want to say so that they can see you're taking it seriously and really want to benefit from the membership. 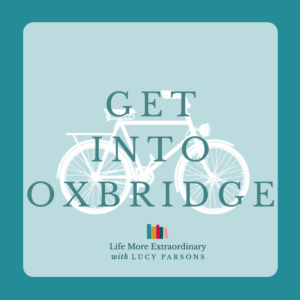 If they've got more questions about the Club you can email me, or they can email me themselves on lucy@lifemoreextraordinary.com. Or, just leave a comment below. I'll be sure to get back to you with an honest answer about whether I really do think this is right for you at this point in time. Just visit The Extraordinaries Club information page and look for the big pink sign-up buttons. I can't wait to get to know you better inside the Club!